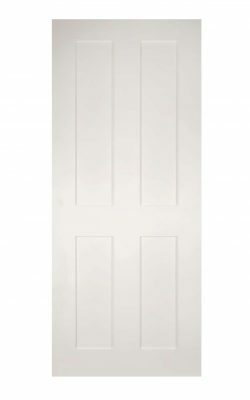 Deanta Eton White Primed FD30 Fire Door. 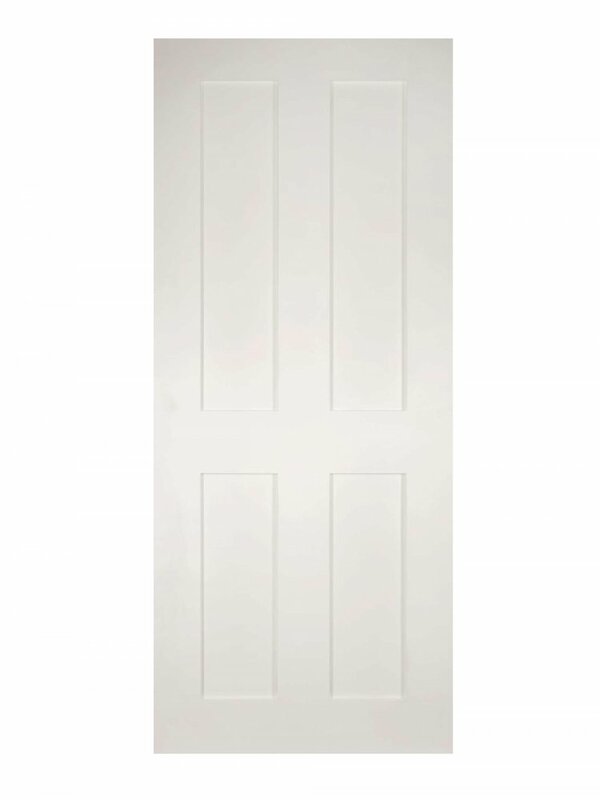 A Victorian style fire door with four flat panels. Complies with regulations for an FD30 rating. This is a shaker style door without any beading or mouldings. 9 sizes to choose from. 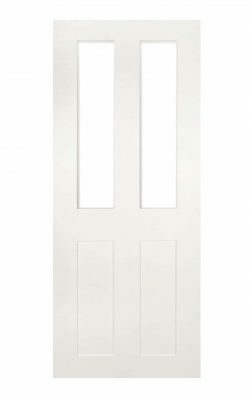 30 mm trimming allowance on Deanta fire doors enables a perfect fit for virtually any doorway.